blind your buddy, and a red LED mode to keep your eyes adjusted to the dark. light ever burns out send it to Rovor or any Rovor retailer for a hassle free replacement. mode makes this a great camping, hiking, and running headlamp for kids and and adults alike. headlamp while pulling to separate the housing from the backplate. 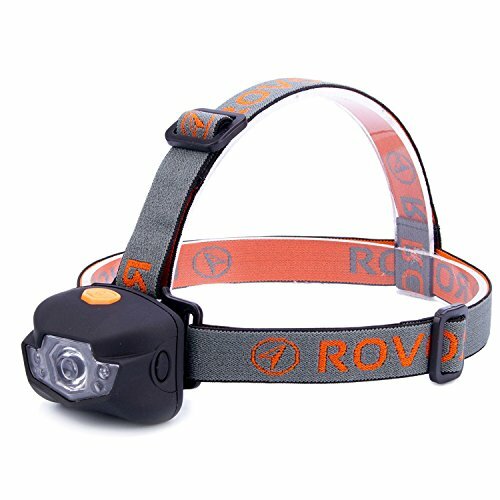 would have loved to have this headlamp flashlight with him as he explored thousands of caves. If you have any questions about this product by Rovor, contact us by completing and submitting the form below. If you are looking for a specif part number, please include it with your message.